Visit the NEW DINOS Website here! If you’re looking for help, the Living with DINOS Resource Guide is a great place to start. Please note, as of 2013 this resource guide is now being updated regularly on the new website. In it you’ll find tips, tools, activities, and dog training classes that other DINOS families have found helpful, such as training vests, calming aids, and their favorite books. 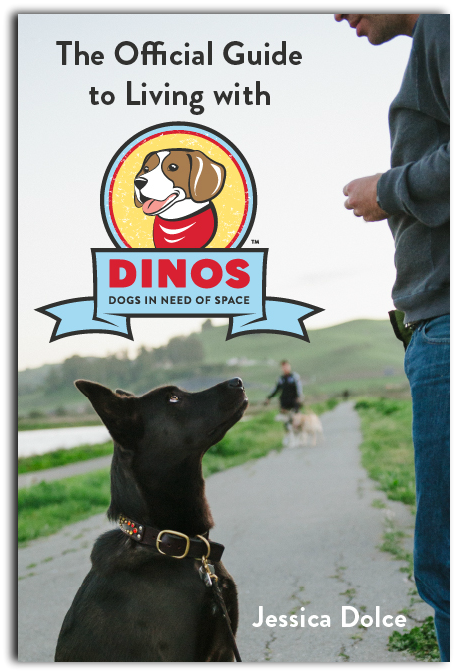 If you have a reactive dog (not all DINOS are reactive), try to find a professional dog trainer or behaviorist in your area that has experience working with reactive dogs. Not all trainers are familiar with reactive dogs, so it pays to ask around and find someone who has experience and success working with them. And join us on Facebook, where you’ll find a supportive community, filled with families that are in your shoes. I regularly post stories, videos, and articles from other sites, as well as my blog posts, that I think will be helpful for DINOS families. You’ll never feel alone again! I wish I had found these resources so much sooner! 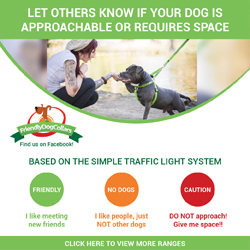 I live next to a park where leash laws are not enforced and it is crawling with “friendlies”…. my dog was attacked on two separate occasions by unleashed dogs….the first time was actually 2 dogs at once…..She hasn’t liked to get close to other dogs since…..unfortunately my house backs up to said park so if people let their off leash dogs close to the fence she runs up and down the fence barking….we have reinforced the fence to assure that she won’t get out….She is extremely reactive to off leash dogs but doesn’t pay much attention to the rest……the worst possible thing has happened….one of my neighbors had her dog out ( off leash)and the dog came into my front yard while she wasn’t paying attention….the dog was able to squeeze into my backyard between the metal fence post and my house….a gap so small my cat can barely get through and its in my front yard set back from the street…not on the public park side….my dog is a big silly crazy boxer bull mastiff mix so I never even thought about the front fence …but her dog got in and was confronted by my dog…it didn’t end well, their dog was seriously injured and mine got bit in the face and eyes and is traumatized….the neighbors said they were going to file a police report so I called animal control myself and explained what happened….I was informed that since my dog was in my backyard contained and her “friendly” was loose….we are not at fault…..since the police and animal.control did not react in their favor….another neighbor contacted my landlord and I got a notice on my door today to get rid of my dog or vacate the property…..I have lived here 8 and a half years and have had my dog for four of them….we are devastated…my dog is not a vicious dog and I feel like I am being bullied right out of my neighborhood by people that do not obey city ordinance in place for the protection of all of us….since I am grossly outnumbered by MDIFs they feel they have the right to do as they please and its my fault because my dog doesn’t like.dogs….I am shocked and appalled.at the letter from the landlord since we have had nothing but positive feedback from them concerning the property at every inspection for the last 8 years…..I was even told that we didn’t need to pay a pet deposit when we got her because we had been such great tenants here for four years already and had paid a substantial deposit when we moved in….the landlord met my dog, she was crated at the time since she was new to the family and a jumper boxer pup…and it has never been an issue….but we never changed the verbiage in our rental contract and had no pets when we moved in so that’s what they are going off of, despite their knowledge of her presence and the fact that they have had no problem in the last 4 years with our dog. I don’t know exactly what this person said about my dog but she is a good dog….my children are devastated, as is my husband and the animal control officer I spoke to said that she would write a letter on my behalf but I feel defeated.. I stated looking at rentals today and the prices have gone up so much it just isn’t feasible to move…oh and to top it off the letter said that our rent is going up as well, should we get rid of our dog and decide to stay…..I am reeling….I thought we were done with this the moment that animal control said that my dog was not at fault but it seems that I was mistaken….I could get an attorney…if I were rich….or move….if I were rich….but instead will probably have to give up my dog and be stuck living next to people that it’s really hard not to HATE right now….That was a long rant but I didn’t know who else would listen….or empathize….around here we are just the jerks with the crazy dog.. I encourage you to contact the police and ACO and ask for written statements that show you were legally not at fault and that your dog is not considered “dangerous” by law. 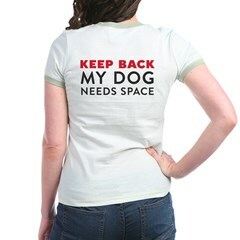 And try to sit down with your landlord to see if you can come to a compromise. Perhaps a new fence in the front yard, for example. A professional mediator might be able to help (they’re cheaper than lawyers). Regardless, negotiate to stay there as long as possible (at least until the end of your current lease), so that you have time to find a new, affordable rental that will take your dog. Again, so sorry for this. I hope you’re able to keep your dog and secure housing.